Manchester City play Brighton at the Wembley Stadium in London to reach the final of the FA Cup as their quest for an unprecedented quadruple of trophies is well and truly on. Pep Guardiola’s side have bee dispatching teams with ease and Brighton would be wary of the threat they possess. A win for the English champions will take them to a first FA Cup final in six years, a competition having considerable significance in English football. For Brighton fans, they will be immensely proud of the way their club have gone about in the previous rounds and a trip to Wembley is a dream come true for them. Sergio Aguero is a doubtful starter against Brighton after missing out of the home win against Cardiff City due to a muscular problem. If he does make the playing eleven, he will relegate Gabriel Jesus back to the bench after a largely disappointing outing at Etihad in the last game. Raheem Sterling and Bernardo Silva will be deployed on the flanks while David Silva and Kevin De Bruyne run the show from midfield. In defence, veteran Vincente Kompany will likely start the game as he nears the end of his City career. Jurgen Locadia and Solly March are both not at their best in terms of fitness and Brighton manager Chris Houghton might well have to make a few tough decisions. Striker Glenn Murray looks their best bet at scoring against City while Lewis Dunk and Shane Duffy at the back have the qualities to hold the fort against a rampaging City attack. Anthony Knockaert out wide will be advised to have a crack at City with each possible opportunity. Brighton have won just once in the last 11 games against City and there is no way they can get past Pep Guardiola’s team to make it to the final. When is Manchester City vs Brighton, FA Cup 2018-19 Football Match? Know Date, Time and Venue Details. Manchester City will take on Brighton in the semifinal of FA Cup 2018-19, on April 06, i.e. Saturday. The game will be played at the Wembley Stadium. The contest is scheduled to take place at 10:00 PM (IST). Where to Watch the Live Telecast of Manchester City vs Brighton, FA Cup 2018-19 Football Match? Sony Pictures Network holds the official broadcasting rights of FA Cup 2018-19 in India. 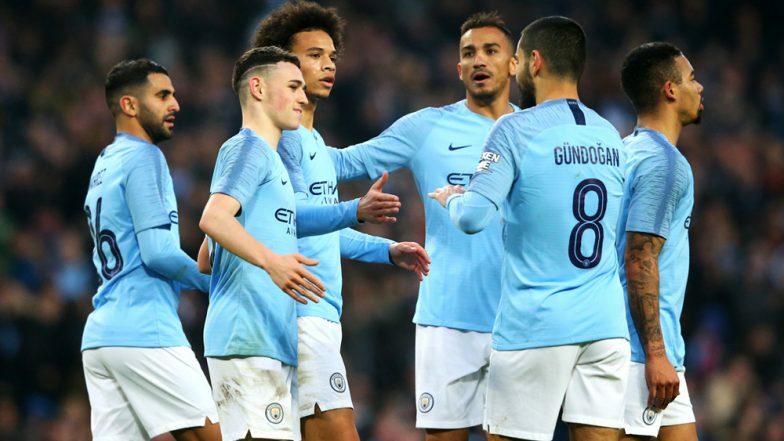 The fans will have to tune into Sony Six and Sony Six HD channels to catch the match telecast of Manchester City vs Brighton semifinal live on their television sets. The FA Cup 2018-19 match can be viewed through online streaming too; for that, the fans will have to see Manchester City vs Brighton match, then you can see it via Sony Network's live streaming service, i.e. SonyLiv (website, app).